When a newborn comes along, he or she is undoubtedly your top priority. However, that doesn’t mean the furry members of your family need to miss out. Take steps to ensure your pet is properly introduced to your newborn child, and it will be the start of a special bond that will last for years. Many pets, particularly dogs, will demonstrate they are aware of an impending change during the pregnancy. This might manifest as changes in their own behaviour – some negative, others positive. During the nine months before your baby arrives it’s worth focusing on your dog’s behaviour, as well as your own. After all, you are the ‘pack leader’. Work through any behavioural issues you notice. 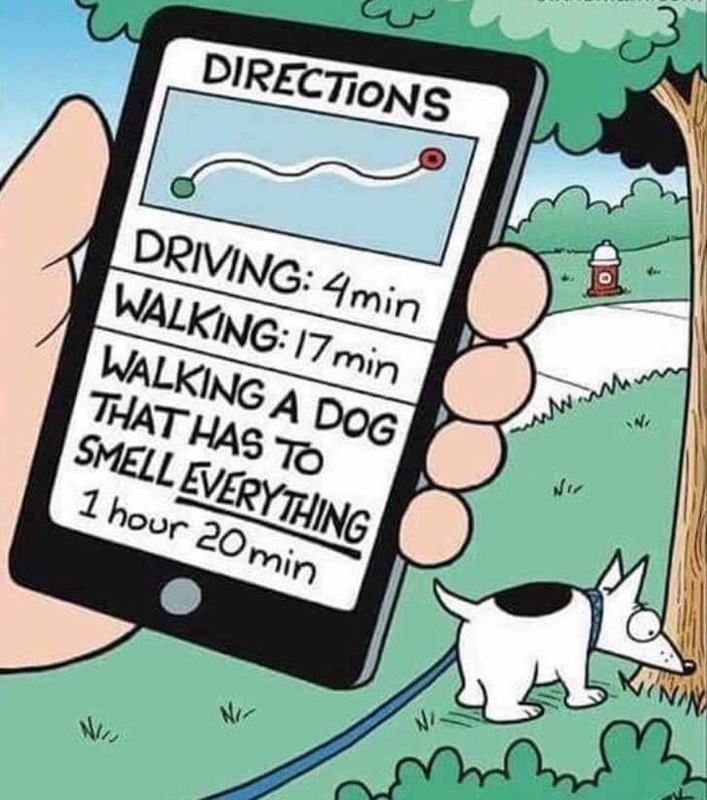 Consider your dog’s moods and actions closely. 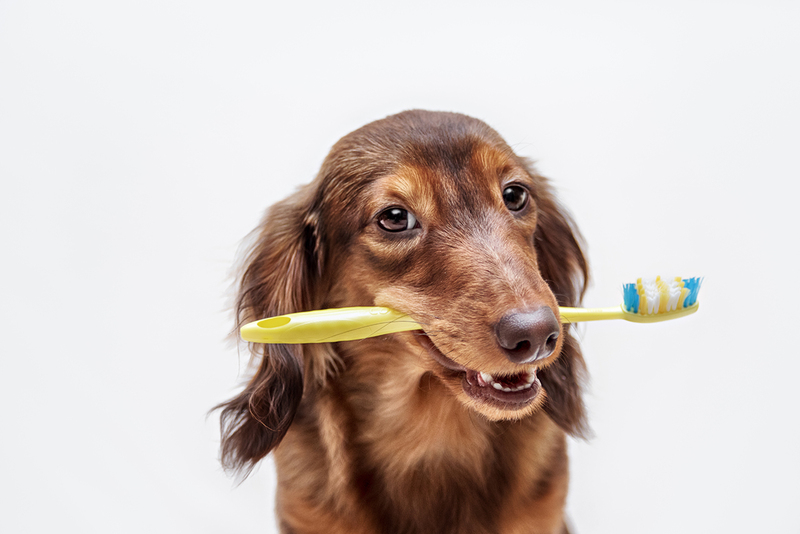 Are there situations where your dog demonstrates less than desirable behaviour? How could this become more of a problem when the baby is around? Can you retrain them into better behaviours? Consider your own commitment to training your dog. Perhaps you have become less disciplined as a leader. There’s no shame in it, routine and the pressures of daily life sometimes mean we’re not always focused on our dog’s training and behaviour. Introducing a baby into the family is a big change. There will be disruption, alterations in routine and focus. Take the time to work on both your leadership and the behaviour of your pet prior to the baby being born. You’ll need an item that has your baby’s scent on it, like a bib or cloth. Bring it home with you, challenge your dog to sniff it, but at a distance. As you challenge the dog to sniff, ensure they remain at a safe distance. During this training exercise, remember to set clear boundaries. Undoubtedly this is a busy time in your life, but the exercise can be done quickly, and will assist with setting boundaries over the course of your newborn’s early life. Dog training is often about setting boundaries to condition appropriate behaviour. Teaching your dog good behaviours around your baby is no different. You can set invisible borders around your nursery by going in and using stay commands at a safe distance from the crib and changing table. Always reward good behaviour. Does their tail goes down? Are they too exuberant around children, or too sullen? Ideally, you’ll want your dog to be patient, aware of their boundaries and show no signs of aggression. 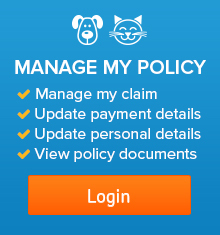 With a baby on the way it’s the perfect time to ensure your pet’s health is up to date. Get a checkup, talk to your vet about any concerns or behavioural issues, and consider getting your pet desexed if they’re not already. 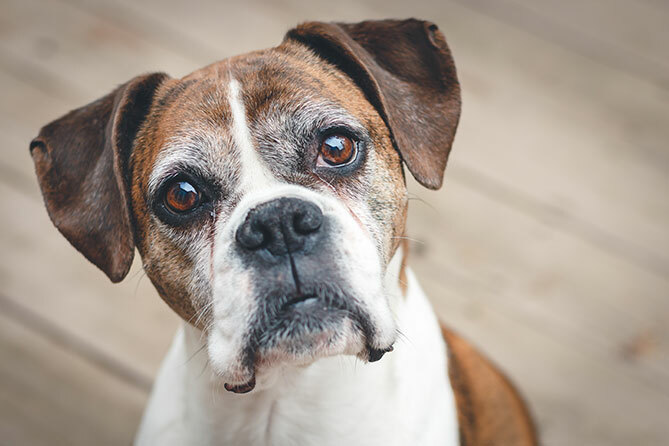 Not only are desexed pets likely to live longer, healthier lives, they’re calmer and less likely to bite. Your friend’s children are the perfect test subjects to gauge how your pet might react to kids around the home (and observe how children behave around animals). Invite them over for afternoon tea, encourage the children to play games with your pet and note any areas of concern to address with training. Swaddle a children’s baby doll and dab some talcum powder on the doll to get your pet used to both the smell and the sight of you carrying a baby around. Go through some of the routines, like changing the diaper, and gauge how your pet cat or dog reacts. Condition and train them accordingly. Positively.com suggests playing audio of baby noises at low volume to get your dog used to the sound of baby before they are born. If your dog remains calm, slowly up the volume. Like much dog related training, a slow and steady gradient in intensity is the best practice. Taking care of a newborn is hard work, and you probably won’t have the amount of free time you are used to. 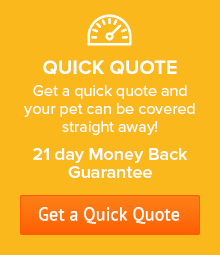 Over time, your pet might start to feel neglected, which can lead to behavioural issues. Try to make time for your pet, continue with established routines like walking and feeding time, and make an effort to incorporate them into new routines where possible. 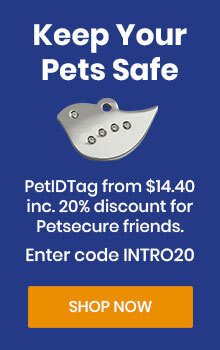 For many of us, a pet is a treasured member of the family, so caring for them is important. As your child grows, they will start to interact more with their environment. 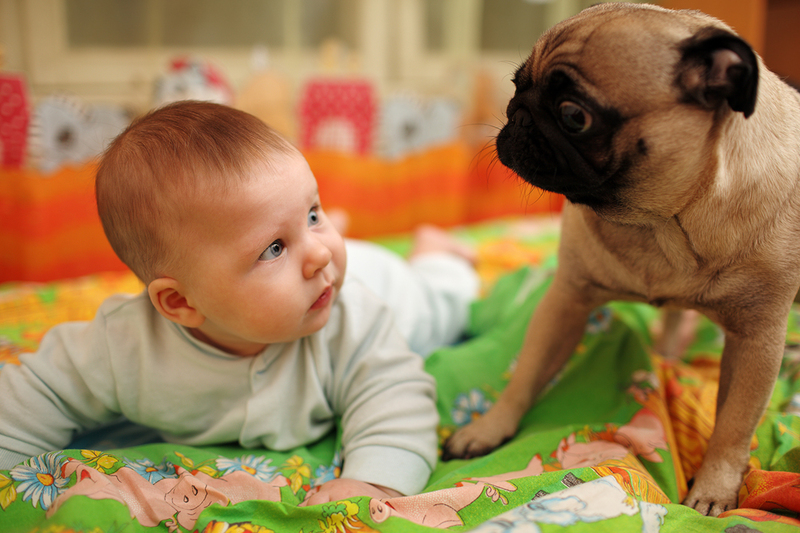 Many babies and toddlers are naturally curious about their furry, four legged siblings. What they probably don’t realise is that pets don’t necessarily like being sat on, having their ears pulled or chased around the house. Even the most patient of animals has their breaking point, so treat yours with respect and teach your child the best behaviours for interacting with your household pet. 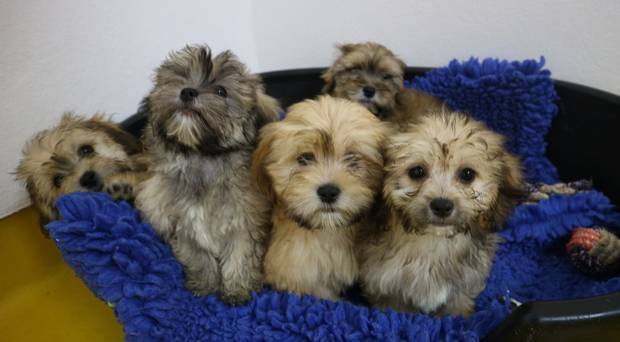 When it comes to family, happiness is meeting everyone’s needs – whether a newborn, furball, or Mummy and Daddy.